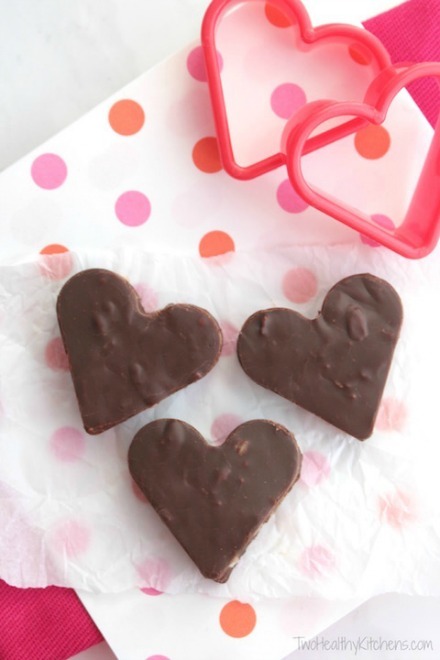 10 easy homemade chocolate delight recipes that are perfect for Valentine’s day. Food is the way to man’s heart and these recipes will totally hit the spot. These delicious desserts will melt his heart. 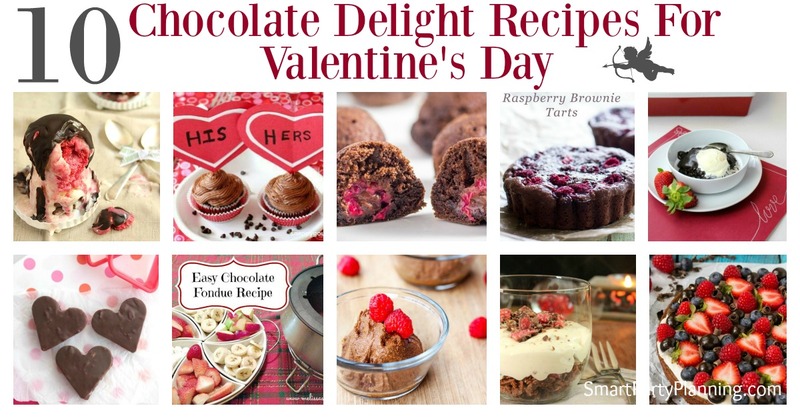 Chocolate and Valentine’s day go hand in hand together, so I knew you would love this collection of amazing chocolate delight recipes. I mean who doesn’t love chocolate at Valentine’s. A special chocolate delight is going to totally melt the heart of the one you love. Sounds good doesn’t it! Each chocolate delight is easy to make, yet totally has the wow factor that you would expect on Valentine’s. The hard part is deciding which little morsel of goodness you are going to choose to make for that special someone. 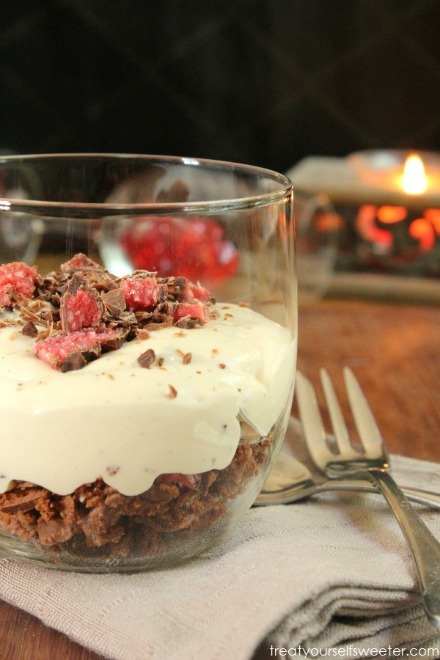 Perhaps you would like a guilt free dessert this Valentine’s. 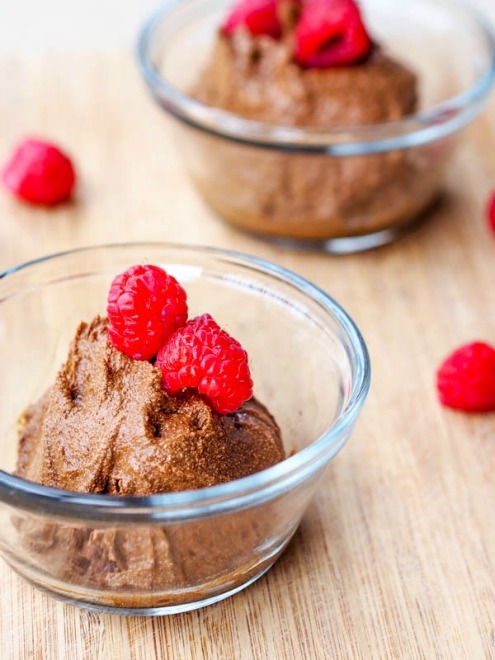 If so, I think you will love this vegan chocolate avocado mousse by Avocado Pesto. With minimal cooking required and using a food processor, this is a low fuss dessert to make. It will however have the taste buds dancing in an instant. If your loved one is into their beer, then they are going to love these chocolate stout cupcakes by Snappy Gourmet. All you need is a cake mix, some beer and hey presto…some amazing cupcakes! This is a chocolate delight that is sure to be a winner. For that ultimate treat take a look at this divine brownie berry dessert pizza by Dinner At The Zoo. Simply grab yourself a 9 inch round pan to resemble a pizza crust, some chocolate and berries and your well on your way to creating this masterpiece. 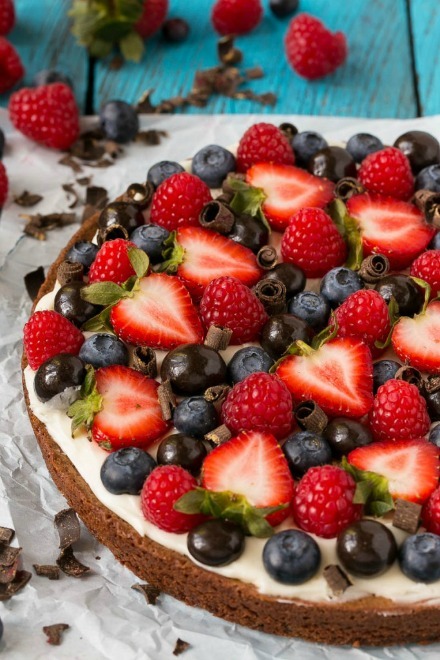 Chocolate and berries: what could be more perfect for Valentine’s day. I also love how strawberries cut in half look like little hearts. This is a total winner. 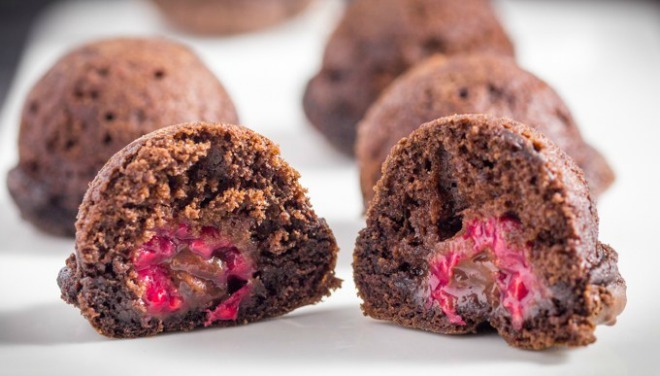 Speaking of chocolate and berries, these little chocolate raspberry bites by Kitchen Sanctuary look like they would melt in the mouth. They would be perfect for taking on a Valentine’s picnic. You might need to make quite a few though as I don’t think they would last for very long. Hmm, that’s not totally a bad problem to have is it! 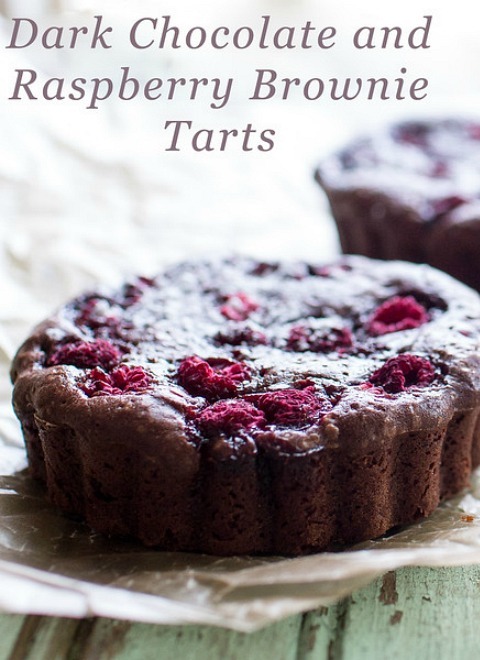 Staying with the chocolate and raspberry theme, check out this dark chocolate and raspberry tarts by Sidewalk Shoes. It’s rich and chocolaty and simply perfect for a Valentine chocolate delight. Grab yourself a tartlett pan and run to the kitchen, quick! You will love our no bake cherry ripe tim tam cheesecake for two. This is a chocolate delight to impress. It has a chocolate crispy base, with a creamy sweet chocolate and cherry ripe delight. Need I say more? Didn’t think so! You will want to grab this recipe quite right away. 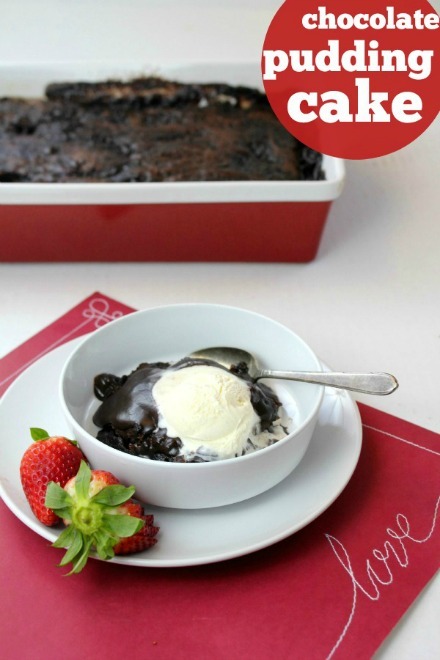 You can’t go wrong with a chocolate pudding and this chocolate pudding cake recipe by Frugal Living NW will soon be a family favorite I’m sure. This is a chocolate delight that you are going to want to eat before it has even finished cooking! 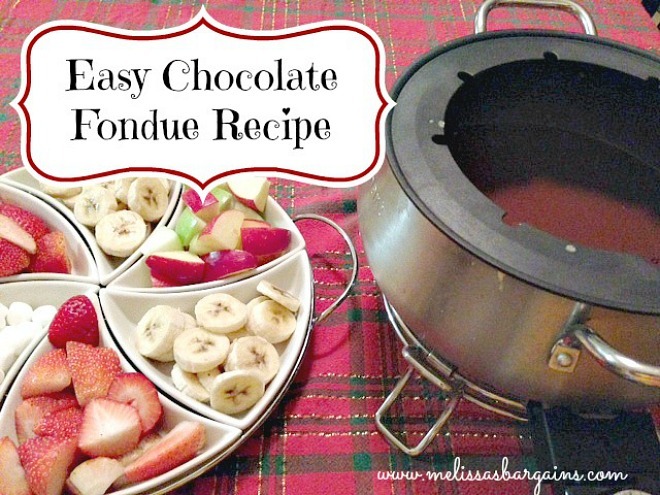 It’s hard to go past a pure simple chocolate fondue recipe and Melissa’s Bargains shows how easy this is to do. Taking less than 10 minutes to make, you will be wanting to run for that fondue pot as soon as possible. For a really quick and easy delight to knock your loved ones sock’s off, try this 4 ingredient chocolate fudge by Healthy Kitchens. These creamy, melt in the mouth, bite sized pieces of fudge are going to be a winner for sure. Finally, for a quick yet decadent dessert, you can’t go past our raspberry ice cream stack with chilli chocolate sauce. This winner can be whipped up in less than 30 minutes and will be a total delight to the senses. Well they do say that the way to a man’s heart is through his stomach and looking at this selection of chocolate delight recipes, it might just be true. With each recipe quick and simple to make, you might even find yourself making more than one and then you are really going to knock his socks off! Just be careful that you don’t resist to temptation and dive into the chocolate delight before it actually makes it’s intended purpose on Valentine’s Day. Although no-one could blame you if you did! All you need to do now is choose which chocolate delight recipe you are going to indulge in and then simply enjoy. You can totally thank me later! 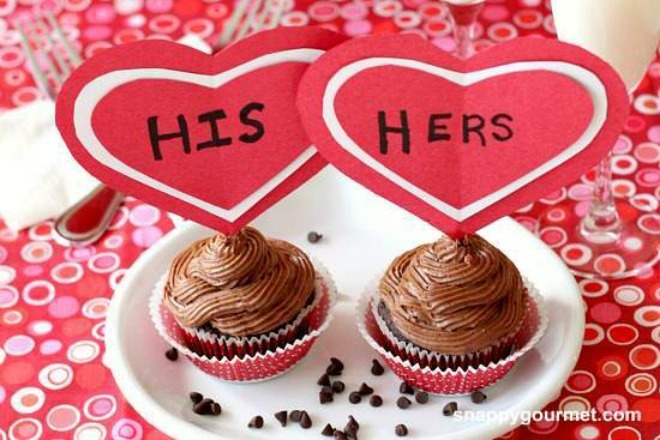 What is normally your ‘go to’ chocolate delight for Valentine’s Day? Love the collection of easy chocolate delight recipes? Sign up to the newsletter so that you never miss a thing. Totally Richard! Which would be your preference, or would you just like them all? 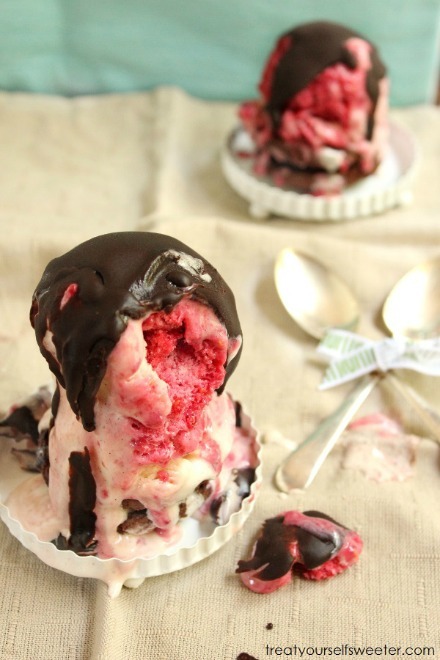 Oh my, they all look good, but the raspberry ice cream with chocolate chili sauce looks like a must have. Thanks for sharing on the Creative K Kids Tasty Tuesdays Linky Party. I hope you will join us again next week. Oh my gosh- I am chocolate obsessed, so this is perfect! Thank so much or sharing and for linking up with us! I will be pinning for sure!